Hello there! Crystal here to host the blog for you. 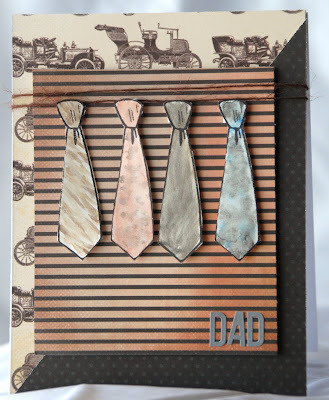 Today I have a card for my dad using Quick Quotes Gypsy Road. 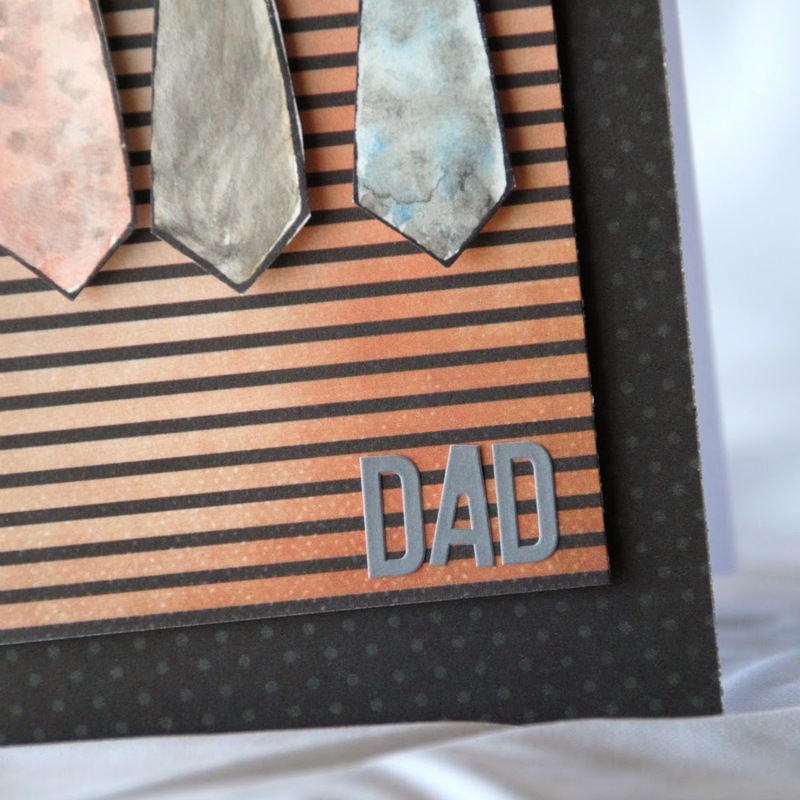 This is a masculine card ready to be gifted on father's day. I am in love with the versatility of Gypsy Road papers provide. 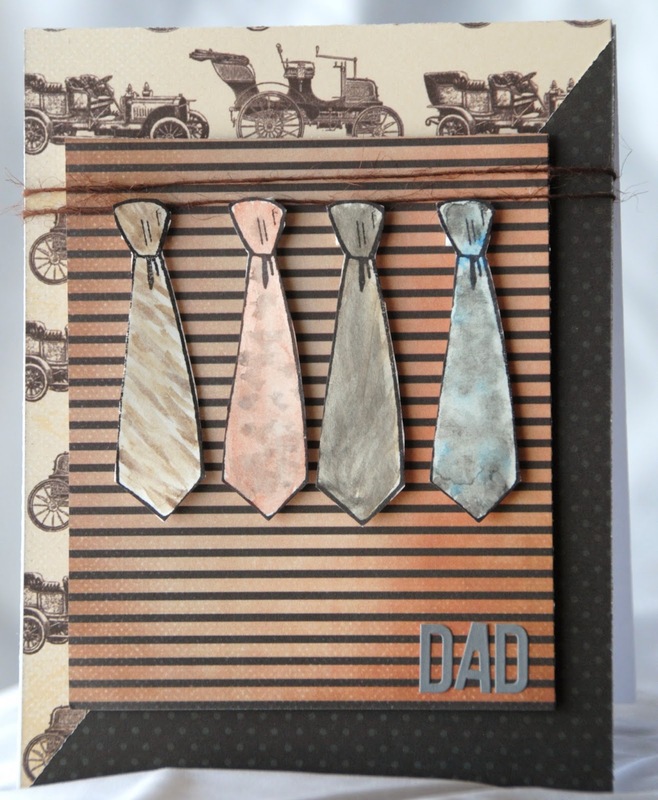 This card is made using Gypsy Road 200, and Gypsy Road 300. Step 1: Trim desired background sheets, layer and adhere to card base. Step 2: Wrap twine on the upper part of the card. Step 3: Place square paper with 3D foam adhesive. Step 4: Adhere ties with foam adhesive. 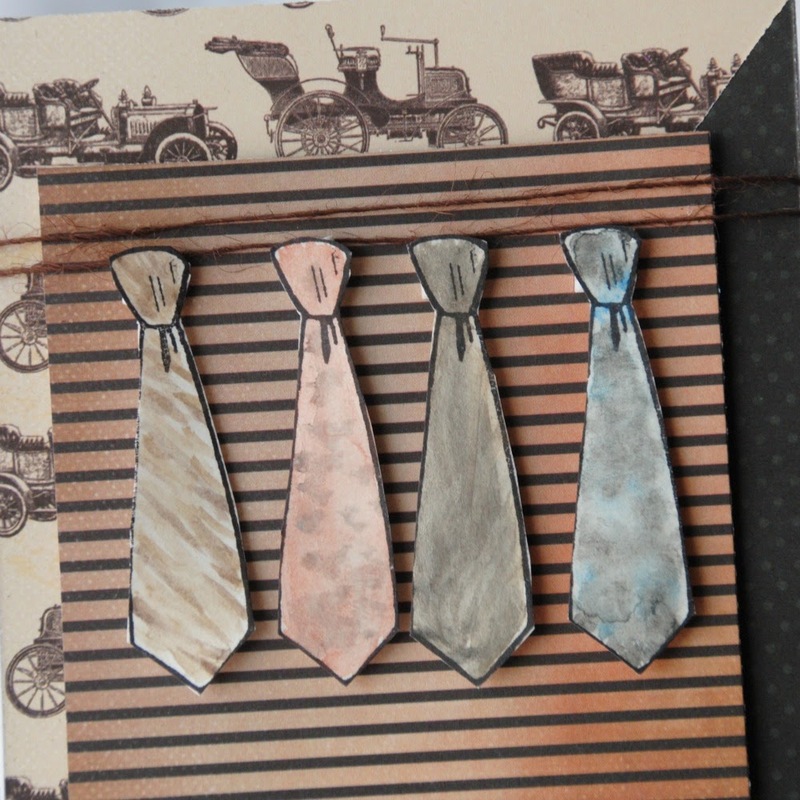 This card was very fun to make, as I water colored the ties.